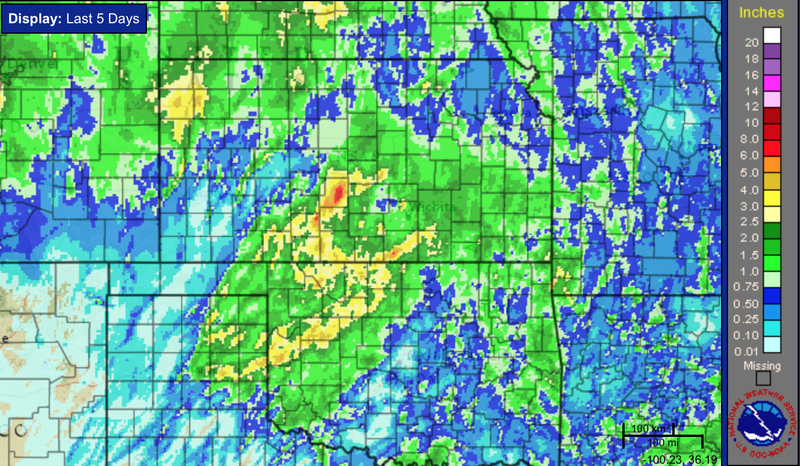 Badly-needed rains fell over the core of the winter wheat belt the last five days. While I wish to emphasize my observations are from metro Wichita only, the wheat appears to be in decent shape. At the Smith House in northeast Wichita we received 1.91 inches over the last three days.